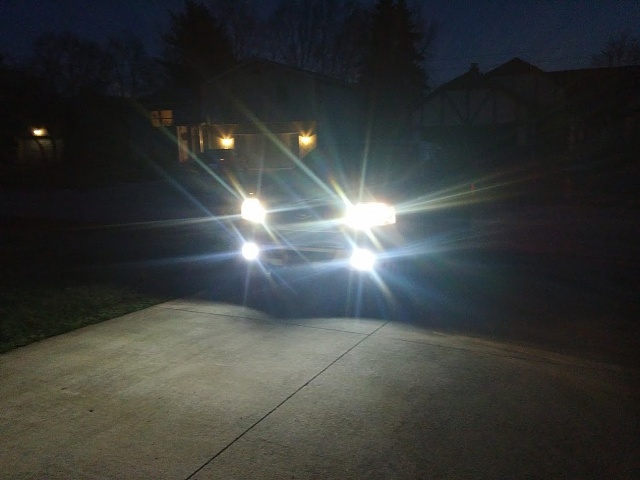 So now my interior lights are all LED. 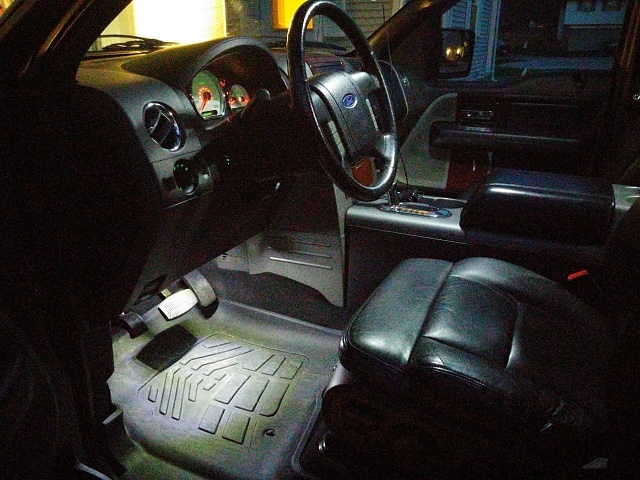 I have the footwell lighting that I am going to add, but I'm waiting on my fuse taps so I can tap it into the dome lighting. 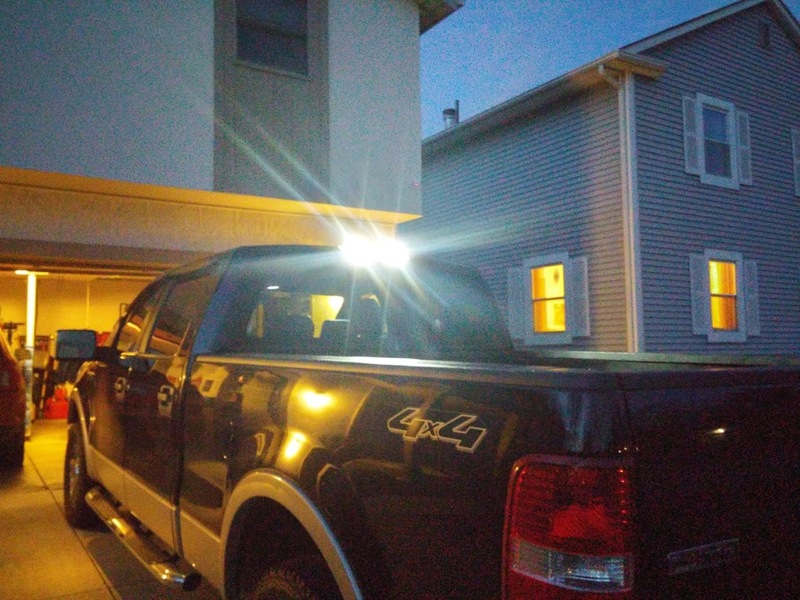 These will also double as my bed lights once I get a tonneau, as I should have enough of them left over for that job as well. I still need to order my puddle lamps to replace the stock incans, but I'm holding off on that until I find out how much my wife's graduation party is going to run me in food. She just got her MS in Education, so I'm particularly proud of her. Welp. All exterior (with the exception of the headlights and reverse lamps) are now all LED.
. It's honestly what I get for trusting the Sylvania bulb selector site and not looking at the manual like a normal person. Either way, though, put in the new flasher relay, changed everything around. Cruise control is still functional, no hyperflash (it's nice to have a timed relay instead of a resistive relay, now). 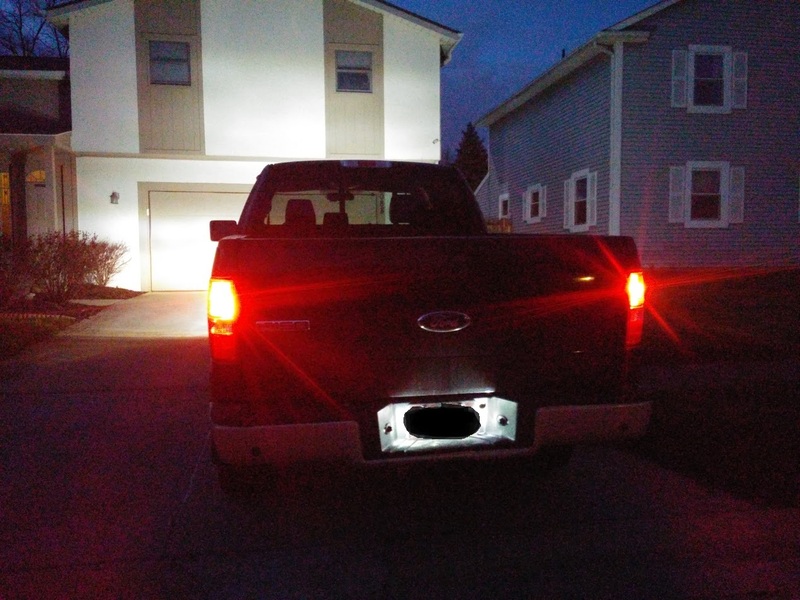 Even third brake light bulbs were changed to LED. So now the entire truck is LED with those two exceptions. I'm thinking I should add some underhood lighting eventually but that's after everything else, I think. I still need to wire in the dash cams to be permanently on with delay acc power, and wire in the footwell lighting to the interior lights. I noticed that I had two mini USB power supplies when I thought I had one mini and one micro (which is how the cams are in the truck, one mini and one micro). So now I need to also order another micro usb power converter. Added Footwell lights today. I wish I could go back and edit my first post so I can start linking directly to entries with the finished parts but the rules of this board are a little more tight on how far back I can edit, it seems. I'll take some pictures tonight. These are all the interior shots, now including footwell lighting. 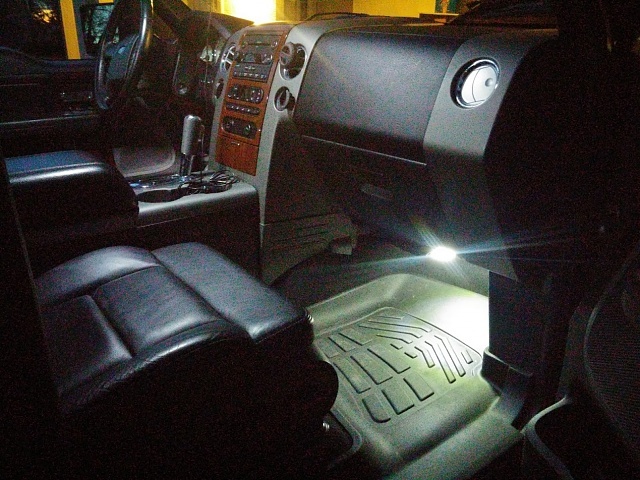 The footwell lights are the "lorry lights" I got on ebay. They appear to be closer to 5000k than the 6000k-style LEDs I used in the rest of the truck, but honestly, I like them a lot and you can't really see the difference with the naked eye. I also realized last time I took an interior pic I didn't have the back maps on as well as the dome, so those are now on as well. 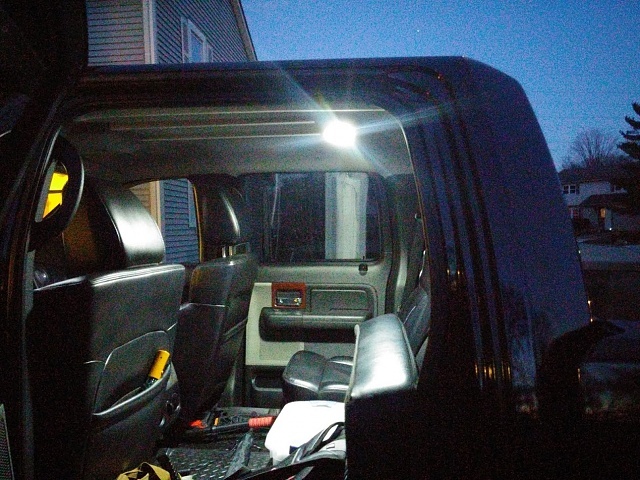 Also a night shot of one of the visors with the LED fuse bulbs in them. I think it came out all right. Last edited by elricfate; 03-19-2016 at 08:31 PM. 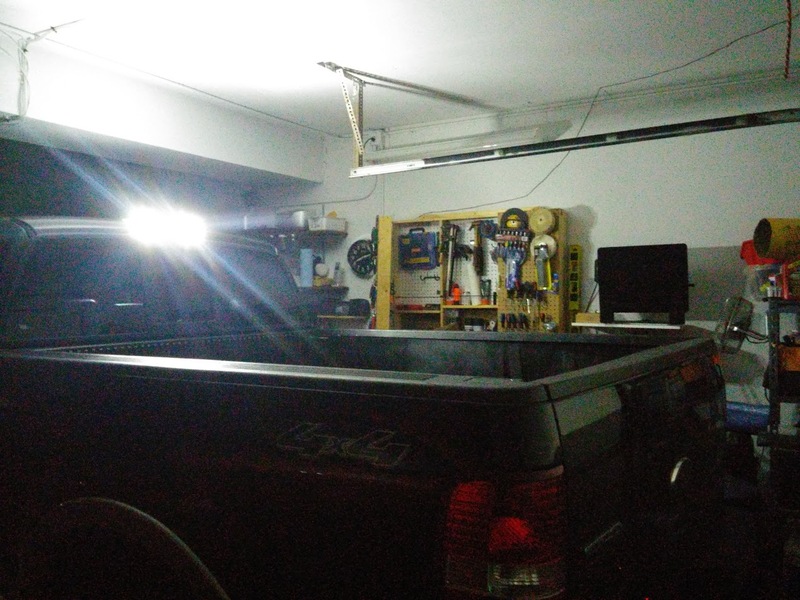 Some outside night shots of the LEDs around the truck. You can see that I'm still running incan headlights, but everything else is LED. Those are SilverStar Ultras as mentioned earlier, a lot whiter than normal but still yellow in the shot. The turn signals are switchbacks, white for normal driving, yellow/off for turn signal (I prefer yellow/off vs yellow/white, makes the signal much much easier to notice). Third light and brakes at rest and at brake, very easily noticeable difference between the two. Cargo lights lit. 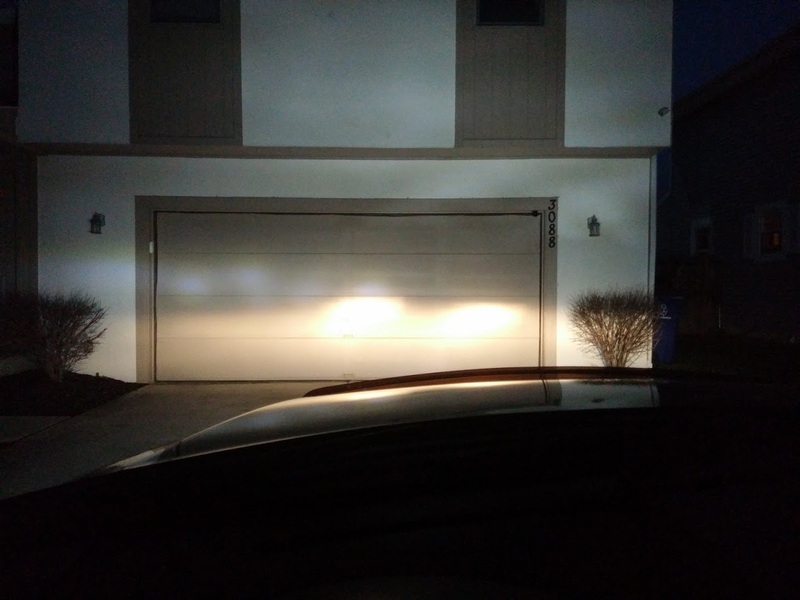 I took a shot in the garage to show how much light they actually throw. 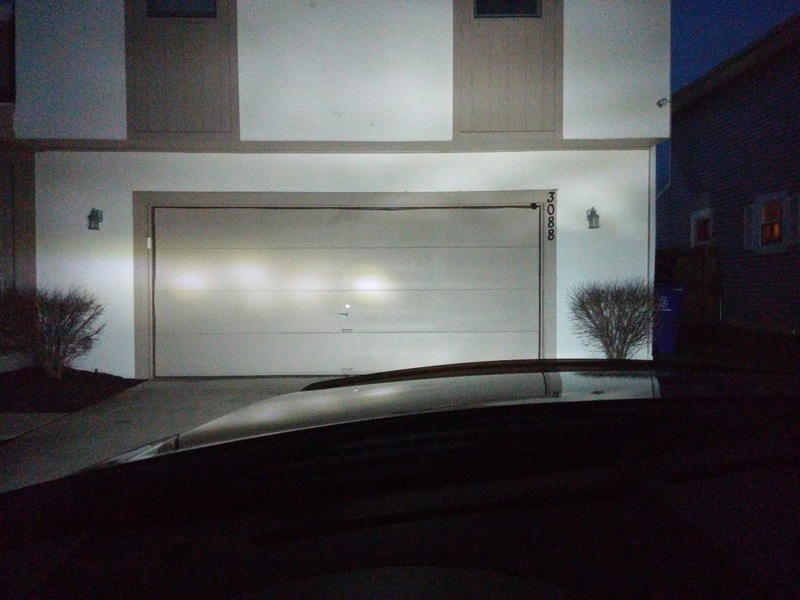 Beamshots from twenty feet away. First is just headlights, notice the LED spill from the bright switchbacks. It's not blinding, but it's noticeable. 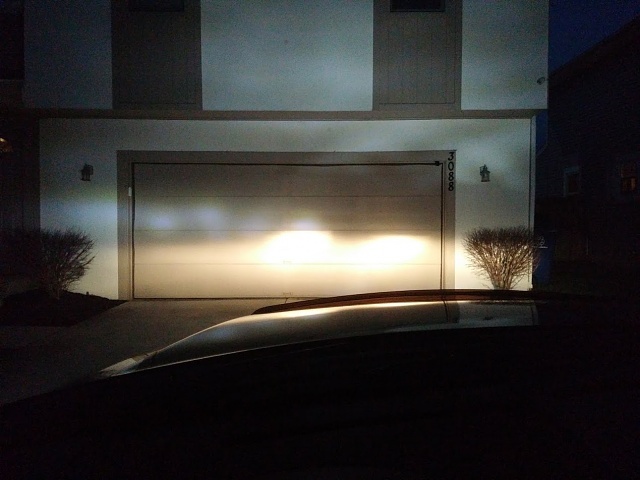 Second is headlights and fogs, you can see the top of the house a lot better but the camera adjusted itself (it's just my cellphone) and darkened the picture a little more. Third is just fogs. They are very floody as you can see. Good looking truck! How do you like the Wade floor mats? I think I'm going to get them. I like them a lot. They're made so everything can be swept out/run out when the door opens, which I love. My only super minor gripe is the Velcro tabs that you stick to the floor sill. My sill has diamond plate shapes molded in the plastic so they don't stick and the entire Velcro bit comes out if you want to take the mats out for any reason. Again, minor, because you wouldn't normally take them out a dozen times in two weeks like I have. They're only meant as a bonus grip, the mats are molded well to the floorboards. Last edited by elricfate; 03-21-2016 at 10:43 AM. Reason: Edited the autocorrect stupidity out. I like then a lot. They're made so everything can be swept out/run out when the door opens, which I love. My only super minor gripe is that Velcro tabs that you stick to the floor sill. My sill has diamond plate shapes molded in the plastic so they don't stick and the entire Velcro bit comes out if you want to take the mats out for any reason. Again, minor, because you wouldn't normally take them out a dozen times in two weeks like I have. They're only meant as a bonus grip, the mats are molded well to the floorboards. Thanks for the review! I've been looking at all my options and think these are the ones I'll be getting. 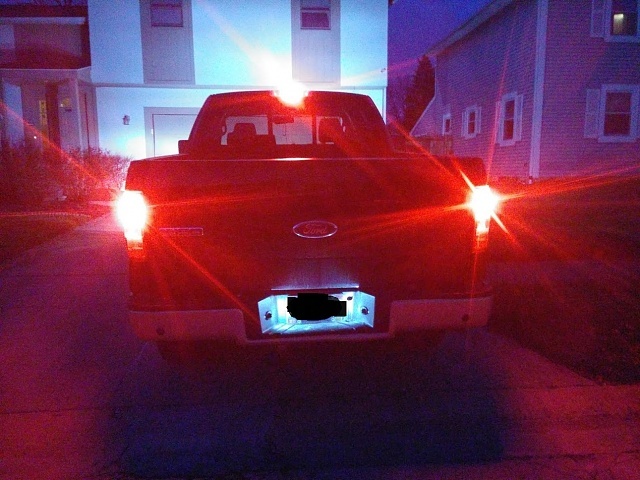 Replaced my reverse lights with these -- they're very bright. During the replacement I turned the ignition to run, stuck the truck in reverse and put on the e-brake. The truck rolled backwards on the slight incline in my garage. Now I know that my e-brake isn't working, which is good to know I guess. 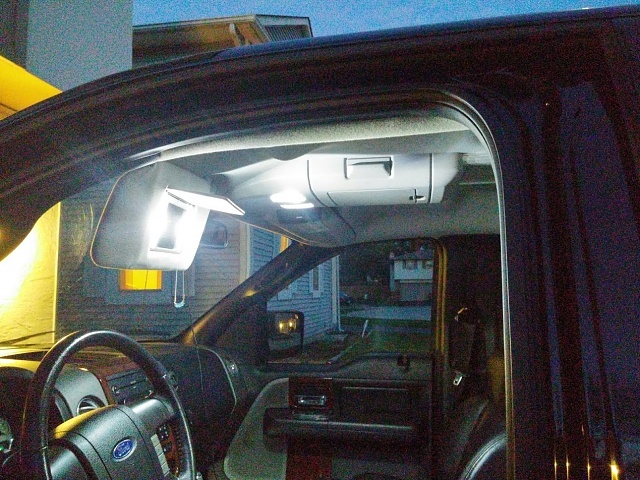 I ordered the replacement LED puddle lamps for my mirrors, they'll be here tomorrow. 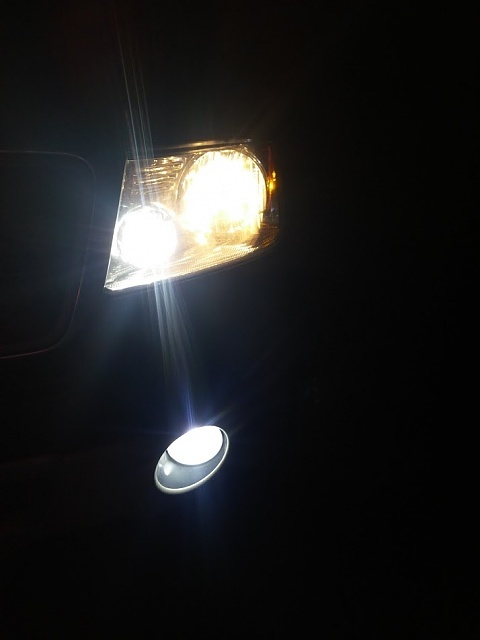 At that point I'll be all LED minus headlights. That's a good feeling. Now to fix that damn e-brake.